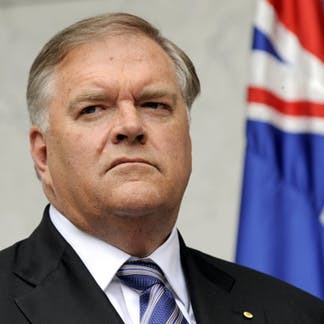 The Hon Kim Beazley AC is a former Leader of the Australian Labor Party and Leader of the Opposition (1996-2001; 2005-6) and Ambassador to the US (2010-16). His parliamentary career ran from 1980 to 2007, during which he held a number of cabinet positions in the Hawke-Keating governments. He is widely regarded as one of Australia’s greatest Defence Ministers (1984-90). Kim is also a graduate of Oxford, where he was a Rhodes Scholar. In this episode, we join Kim to tackle the issues of Putin’s belligerence, whether the Cold War ever really ended, and what we should do about it. We could think of no greater expert than the Bomber to answer these questions!